There are many people who set up a business in their home. Usually this involves working online in some capacity. It could also be that a particular type of service like dog walker or housecleaner can run a business from a home office. This is a great way to make extra money without paying office overhead. However, it’s not the only way that you can generate income from your home. 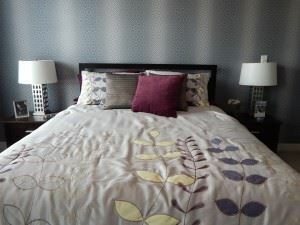 If you have a spare room that could be used as a guest room then you might be sitting on a potential moneymaker. You could rent out that room long-term and bring in a roommate. You could just as easily rent the room to occasional travelers who have grown weary of checking in and out of hotels. There is a big cottage industry of homeowners renting out and earning significant amount of money. Before you can get your room ready, you’ll want to bring in Junk King Albany. These are the junk removal pros that can get rid of all the rubbish and help make that room warm and inviting. You might already have a bed set up in that spare room but it is sharing space with all the unwanted stuff you been collecting over the past several years. A spare room that isn’t being used is often turned into a kind of storage locker. On some level it’s a practical way to utilize that space but if you could make more money from it then you be well served to get rid of all that junk. It doesn’t matter if this spare room is on a second or even third floor in your home. The team from Junk King Albany will have no problem climbing the stairs to bring down all the things you want to get rid of. Knowing you’ll have a hard-working two-man moving crew at your disposal can make a huge difference in deciding what to get rid of. In other words, anything goes! Keep in mind, just because you’re getting rid of things like furniture and clothing doesn’t mean it will be going right to the dump. Instead, junk King will happily drop those kinds of items off at a charity that can put them to good use. Are you ready to make money from your spare room? Start with a call to Junk King Albany. This entry was posted in junk removal and tagged bedroom, clutter, Junk King, junk removal, of spare room on May 30, 2016 by Todd Porter. Last updated August 16, 2017 . There are some folks who are happy to punch a time clock and spend their 9 to 5 working hours in a classic office environment. Yes, we’re talking cubicles. Absolutely, nothing wrong with making a living that way. For Junk King Albany owner Todd Porter, the cubicle life was not for him. Even the views of Park Avenue couldn’t persuade him to stick around that lawyer’s office. Instead, Todd and his family headed upstate to the Capitol District to open a Junk King franchise. It’s was a smart move on Todd’s part because of Junk King’s proven business model. However, it still takes the dedication and passion of a strong business leader to make that franchise thrive. Todd is just that type of professional but you don’t have to take our word for it. 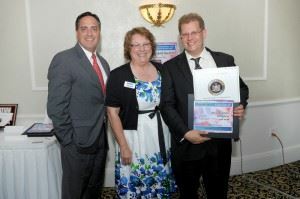 The Guilderland Chamber of Commerce has just voted Todd Porter their Small Business Person of the Year. That is proof positive that Todd is on the right track and has become a viable member of the business community. To receive this coveted award, a business owner needs to earn their approval of the 350+ businesses that make up the Guilderland Chamber of Commerce. This is an organization with deep roots in the community that not only promotes businesses by making important connections and providing valuable resources but they also reach out and help with schools and other local community organizations. Todd Porter and his team from Junk King are a perfect fit for the Guilderland Chamber of Commerce. That’s because Todd not only helps keep homes and businesses junk free but he also does his part to keep the environment as green as possible. Todd’s Junk King team has no problem going the extra mile to make drop offs of their collected junk to some of the many certified recycling centers or charitable organizations around the Capital District. This keeps tons of junk out of area landfills every month. Add it all up and it’s clear to see that Todd and his Junk King franchise is having a huge positive impact on the environment. All you have to do to be a part of that effort is hire Junk King Albany. They’re going to make those drop offs automatically. If you got junk, then the best company to give it to is Junk King Albany. This entry was posted in junk removal and tagged business person of the year, Junk King, junk removal on May 20, 2016 by Todd Porter. Last updated August 16, 2017 .